The unique combination of smoky flavor with peppery heat makes this oil perfect for so many uses! Use our Chipotle Olive Oil to flavor meats on the grill, in Chili, and drizzle on top of soups, stews and roasted potatoes. Great for steak fajitas, skirt steaks, salsas, and grilled chicken. Fry your eggs in it! Excellent as the "olive oil" part in a unique vinaigrette, try it with Raspberry Balsamic Vinegar or Dark Chocolate Balsamic Vinegar. 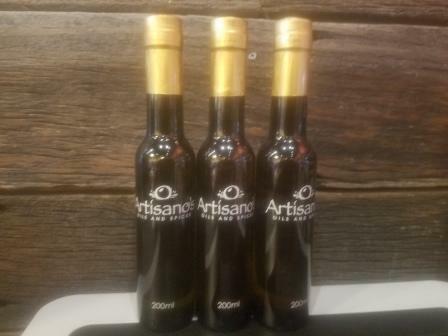 It makes a great marinade with our Espresso Balsamic Vinegar.